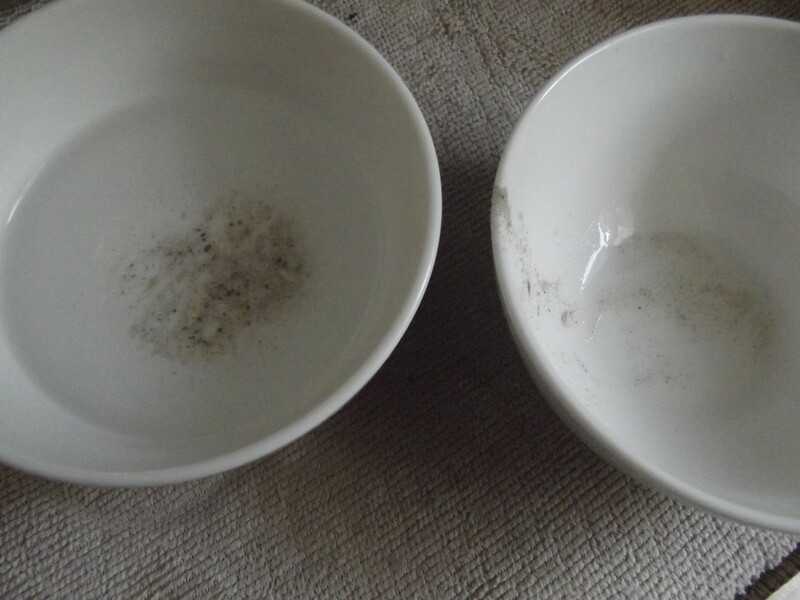 Grit and food particles left on bowls and glasses is a flashing sign that you have been neglecting your dishwasher. Help! My Dishes Aren't Getting Cleaned! Tired of opening up the dishwasher to find gritty particles on the insides of your bowls and glasses? If you have an older model, you may be thinking that it's time for a replacement, but don't run out and buy a new dishwasher just yet. It may just need a good cleaning. 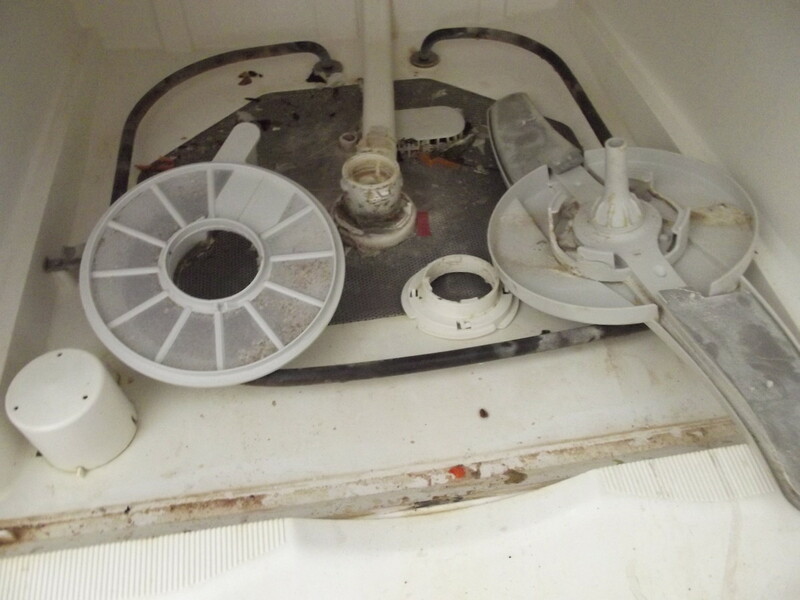 I know that taking apart and cleaning the inside of your dishwasher seems a little scary,--What if you break the pieces--but rest assured, it isn't as intimidating as it seems and you probably have everything you need already under your kitchen sink. 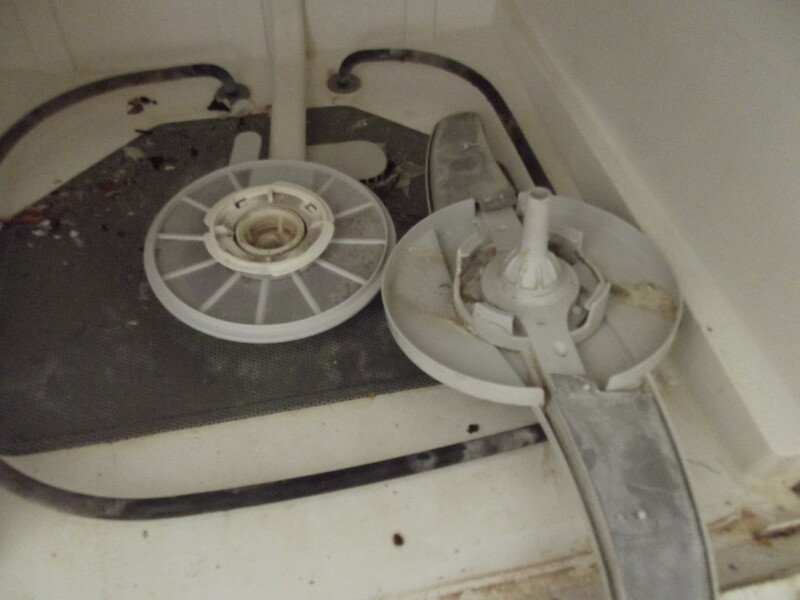 What's hiding underneath the sprayer in your dishwasher? Notice the gunk and mineral deposits. This is where the gritty film on your dishes comes from. Yuck! 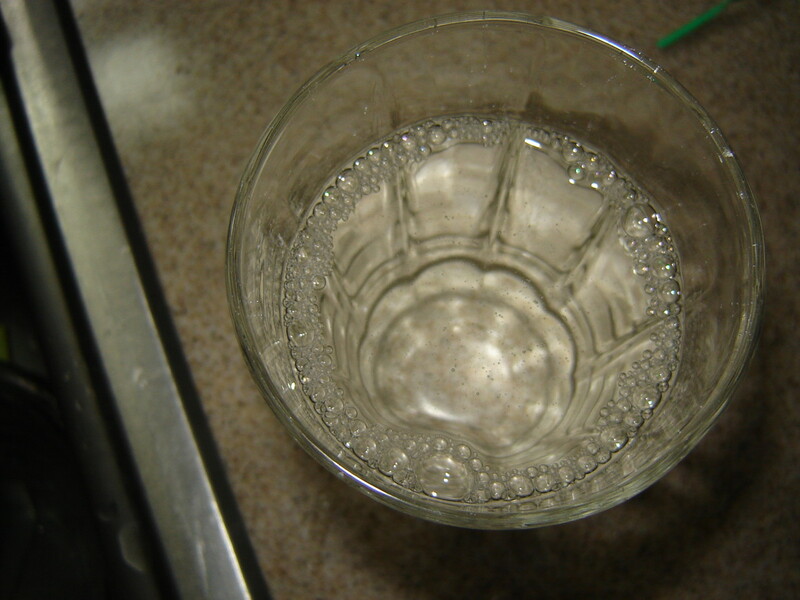 Fill your sink with hot water, 2 cups of distilled white vinegar, and a squirt of dish soap. 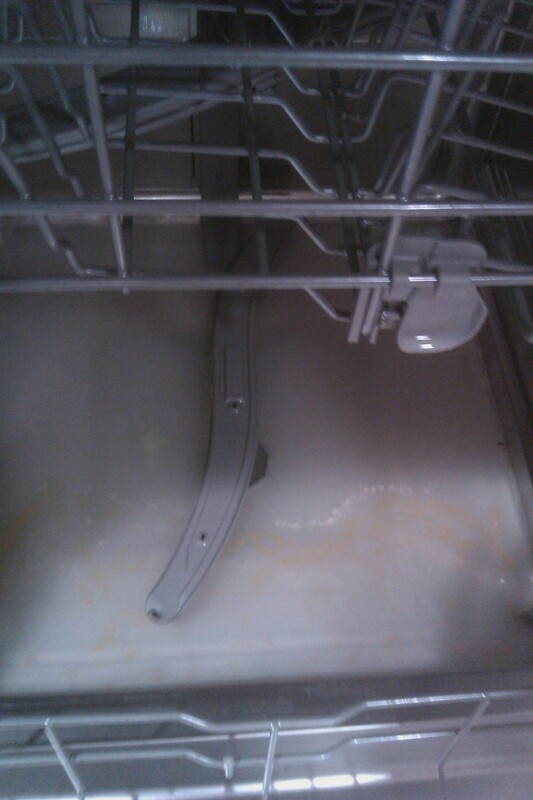 Remove the lower rack from your dishwasher and set it aside. Unscrew the tab holding the top sprayer in place and remove the sprayer from underneath the top rack. Pull the bottom sprayer out and separate the parts that make up the bottom sprayer. Set the sprayers in the sink. An old toothbrush is stiff enough to work the deposits loose and small enough to fit into the small nooks and crannies. Running water the mesh top flush out the sandy-debris. 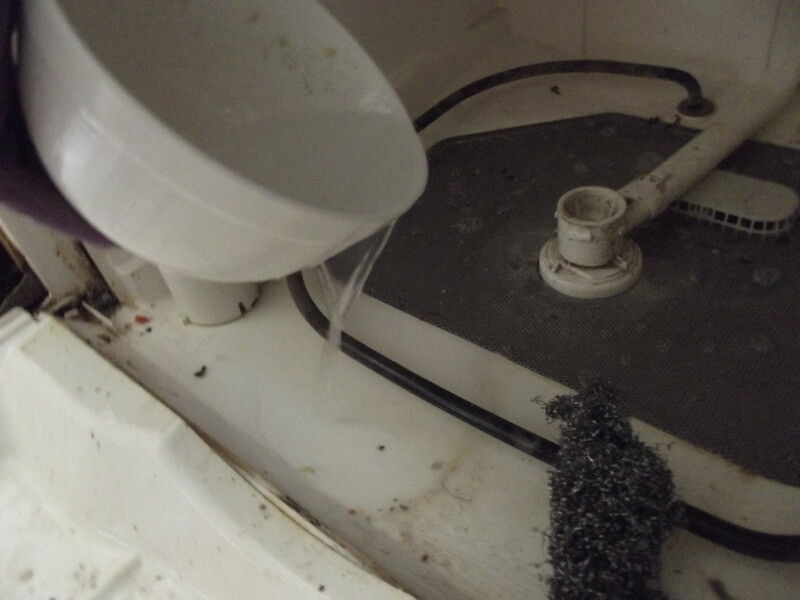 Tapping the trap against the sink will dislodge the debris. Look at all that grit! Soak the sprayer pieces in the vinegar water for 10 minutes to hour (depending on how hard the mineral deposits have become). 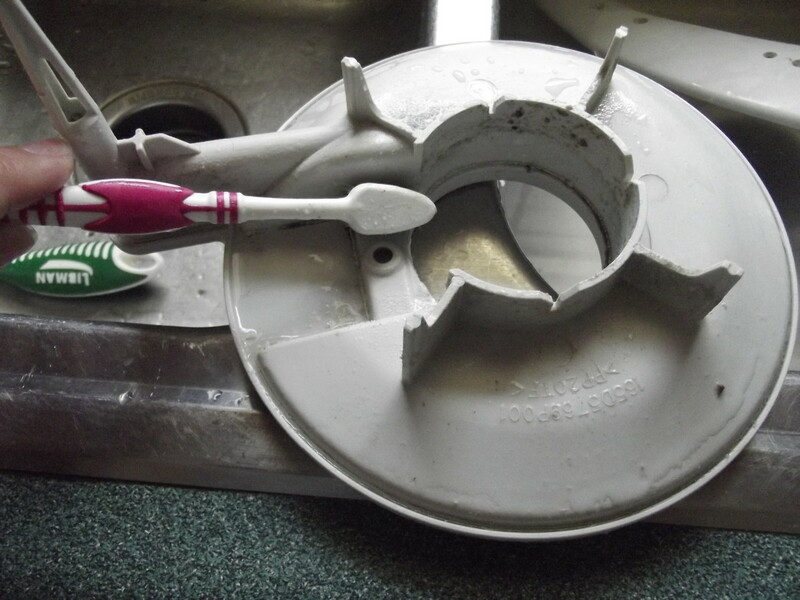 Using an old tooth brush, kitchen brush or steel wool, scrub food debris and hard water deposits off sprayer pieces. 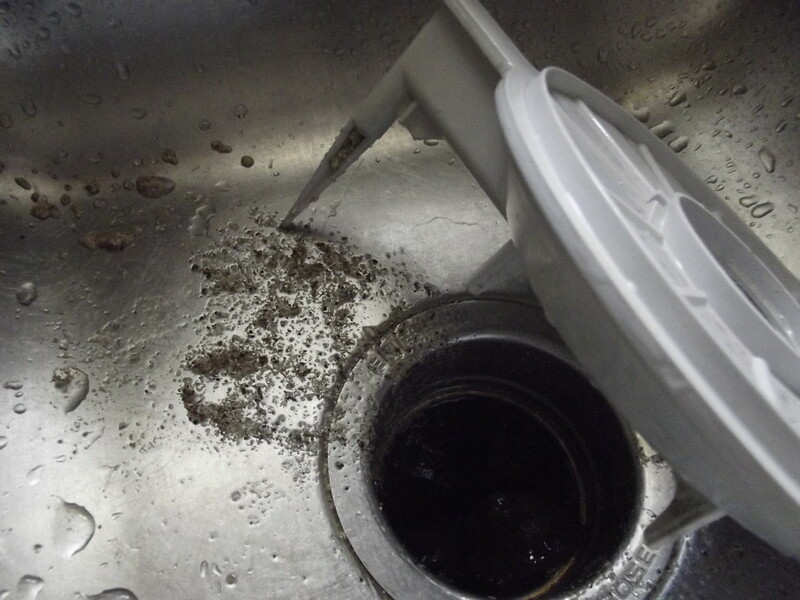 If your model has a mesh capped strainer, run water through the mesh top and lightly tap against sink to remove debris from the inside. Don't spend hours on this step. You goal is a dishwasher that gets your dishes clean, not perfection! 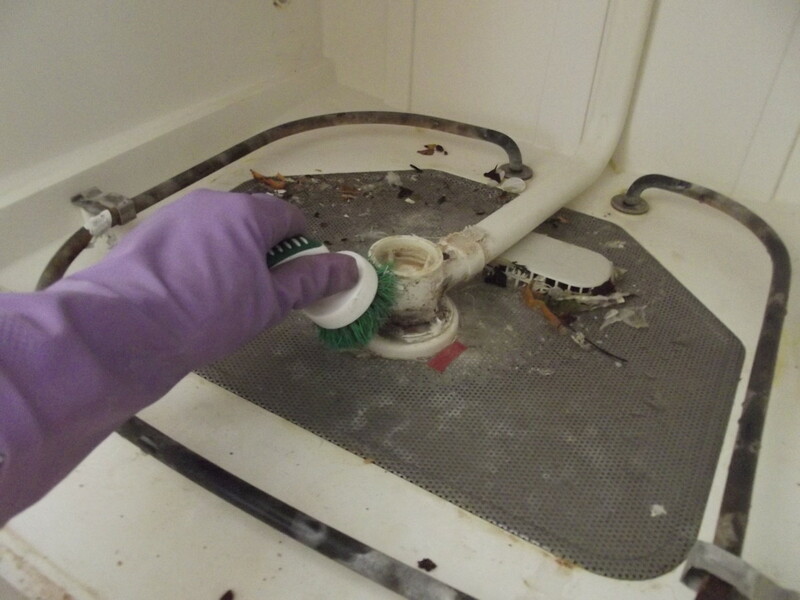 Scrub the bottom of the dishwasher to dislodge debris and mineral deposits. 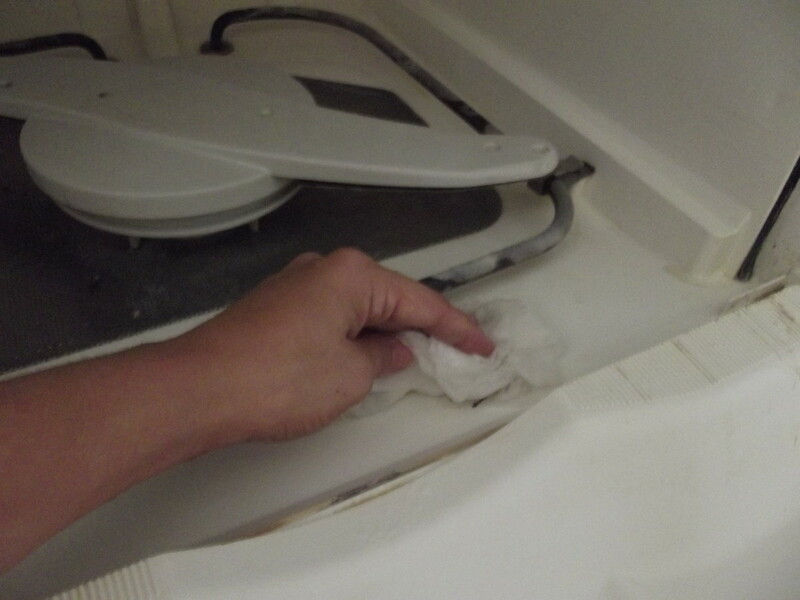 Using an old rag or paper towel, remove any food debris from the bottom of the dishwasher. Using a sponge, brush or steel wool, scrub all surfaces, paying special attention around where the sprayer goes and in the corners next to the door. Rinsing areas with water as you work will wash away the loose grim and help you see where you still need to focus. Put the sprayers back into the dishwasher. Throw 2 cups of white vinegar into the bottom and run your dishwasher using the hottest setting possible. 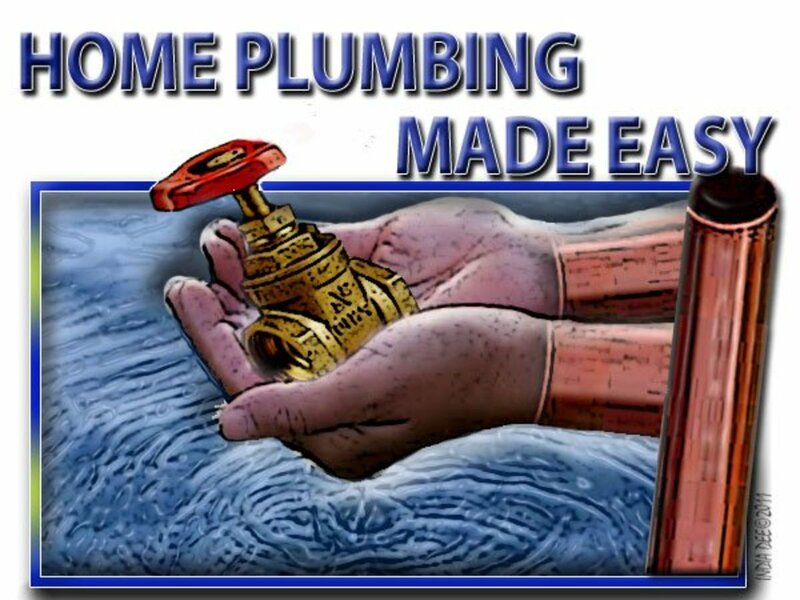 Once you are about halfway through the cycle, cancel the wash and drain the water. 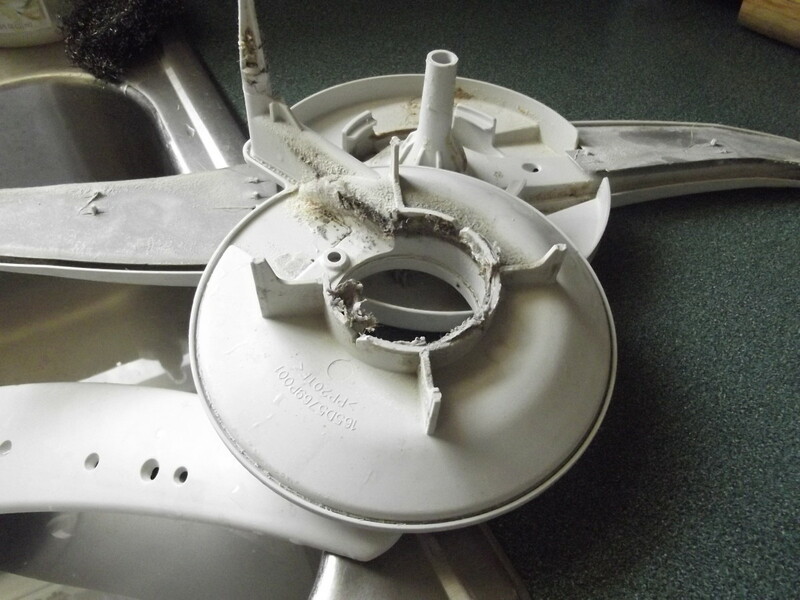 Running your dishwasher should have loosened any remaining dirt in pipes and unit. Using a clean rag or paper towel, wipe out the bottom of the dishwasher one last time, leaving your dishwasher sparkly clean. How Often Do You Clean Out Your Dishwasher? What, you are supposed to clean your Dishwasher? Doesn't it clean itself? 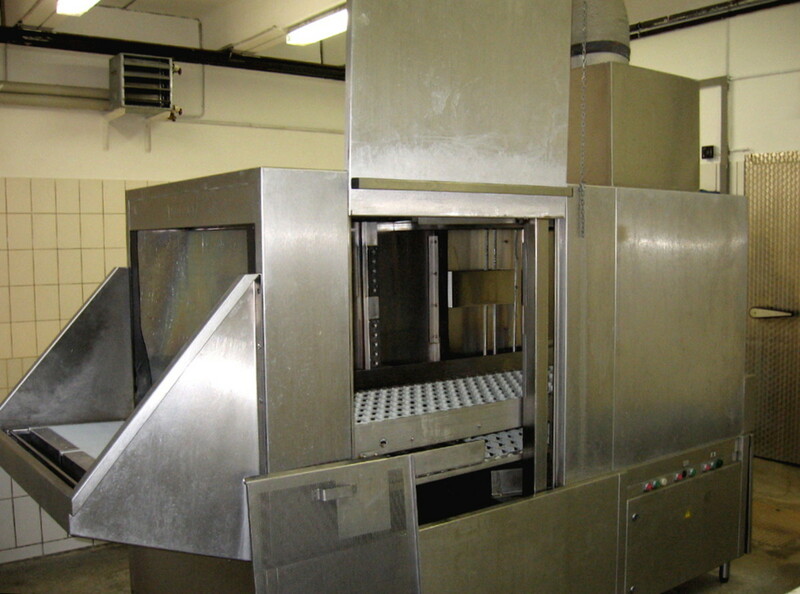 Remove bottom the rack and take out sprayers. How Do I Clean My Already Cloudy Glasses and Silverware? "This is great," you say. 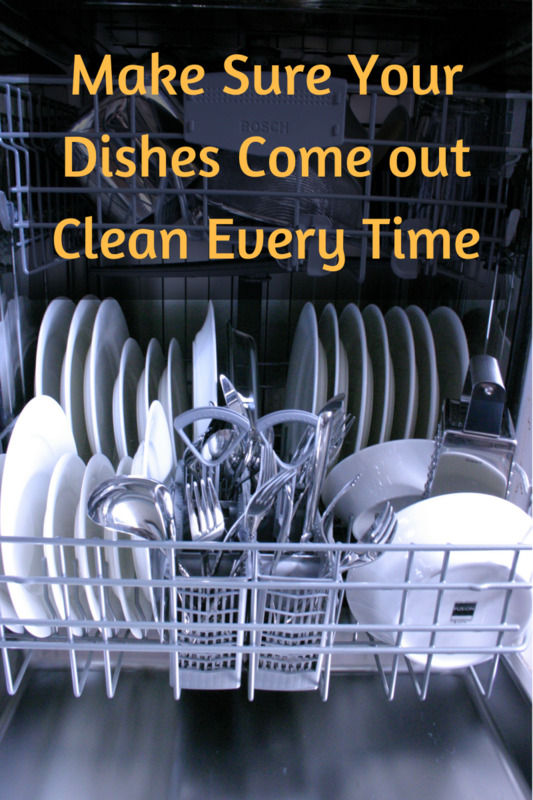 "I will clean out my dishwasher and now it will clean my dishes properly. The trouble is, my glasses and silverware are already cloudy"
Fear not. I will show you how you can have clear glasses and shiny silverware again in under and hour. 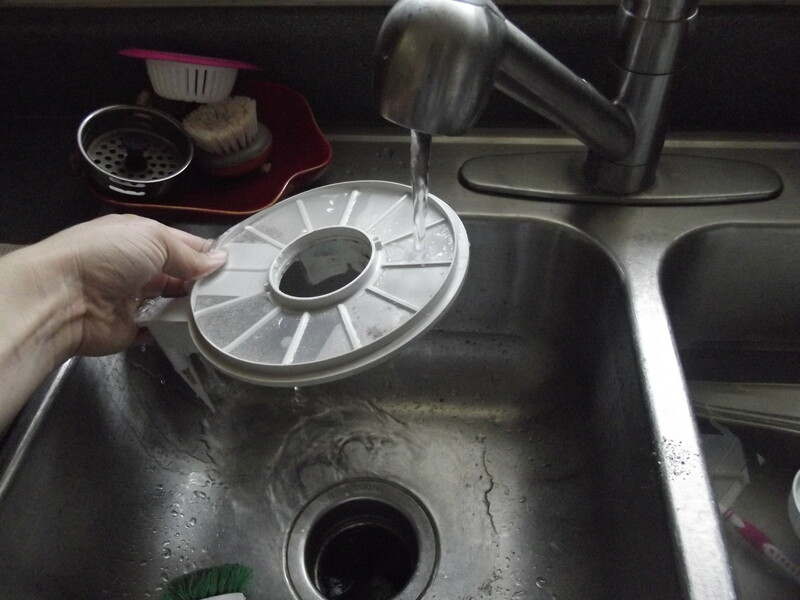 Fill your sink with a few inches of hot water and add 2 cups of vinegar. Let the glasses and/ or silverware soak for a few minutes. 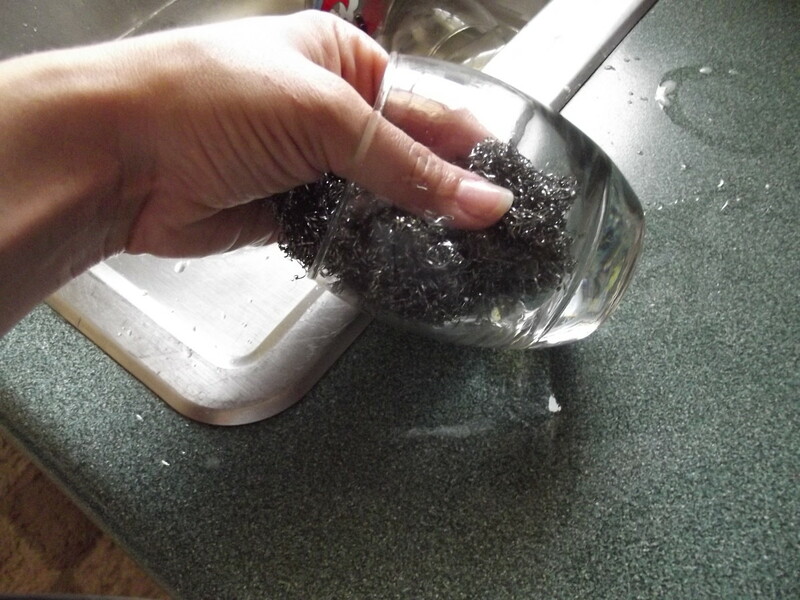 Lightly scrub glasses and silverware with steel wool and wipe dry with a soft cloth. That's it. 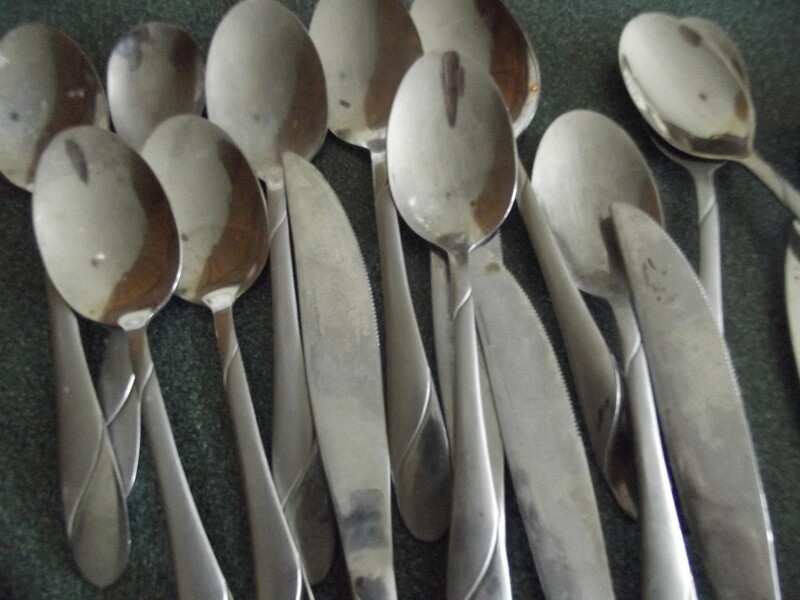 In one hour all your glasses and silverware will look good as new! My glasses were cloudy from just a few month of being washed in hard water. I filled my sink several inches of water and 2 cups of vinegar and soaked the cloudy glasses for a few minutes. 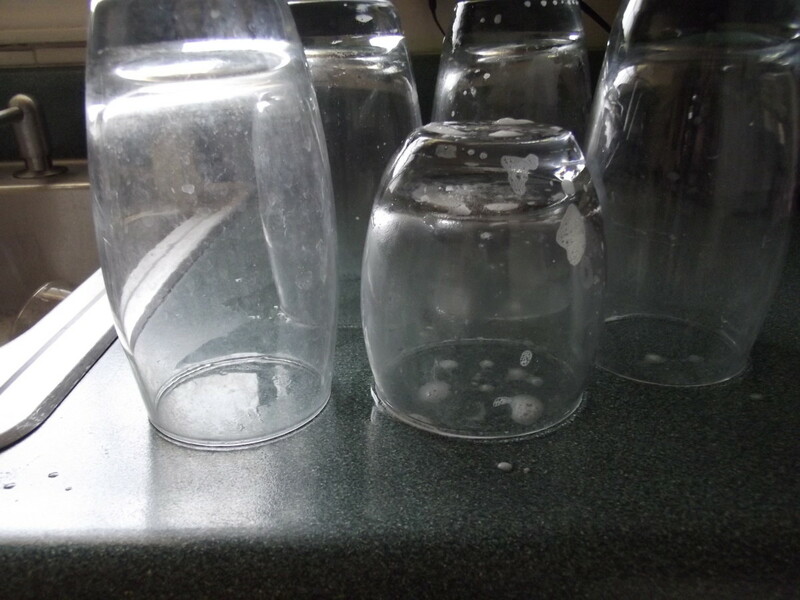 Using steel wool, I lightly scrubbed the inside of each glass. And wiped dry with a soft cloth. The glass on the left is cloudy and dull. 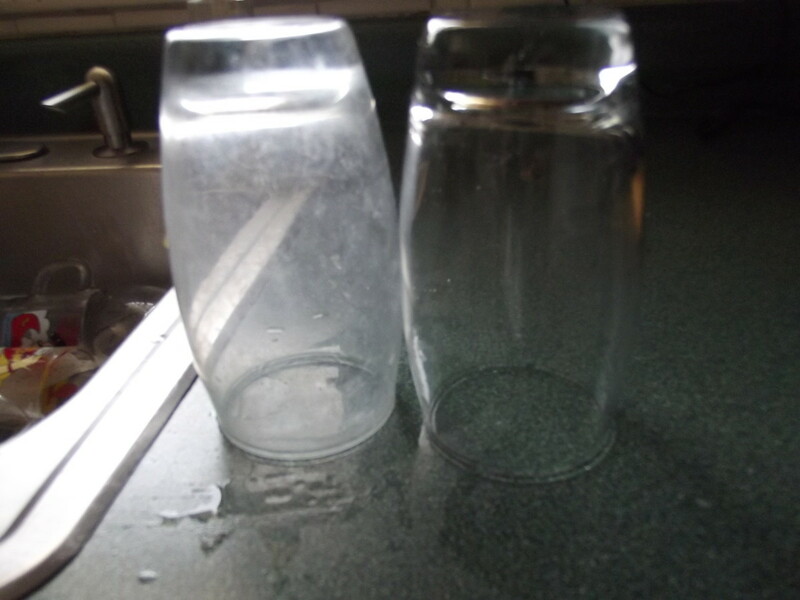 The glass on the right has been cleaned and is clear. My silverware was dull and cloudy from a year of hard water build up. 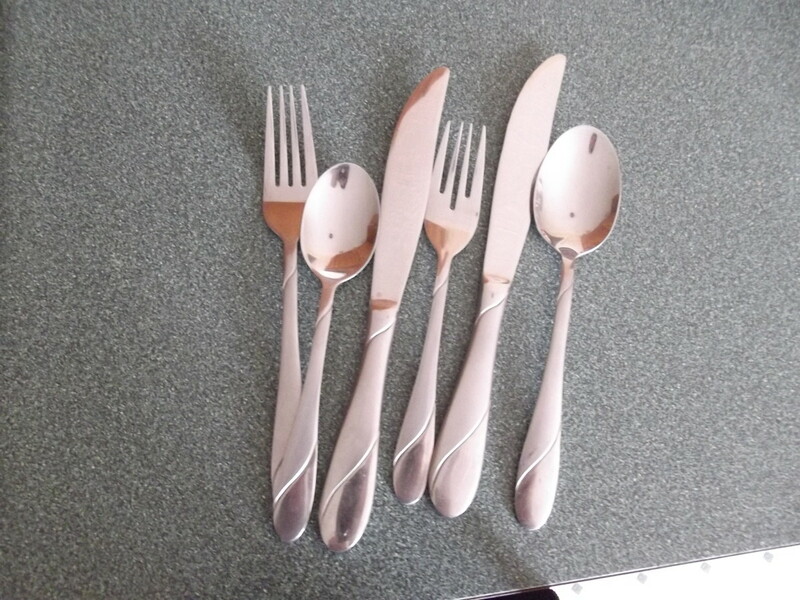 Now my silverware is shiny and bright again. Just like new! This is great! 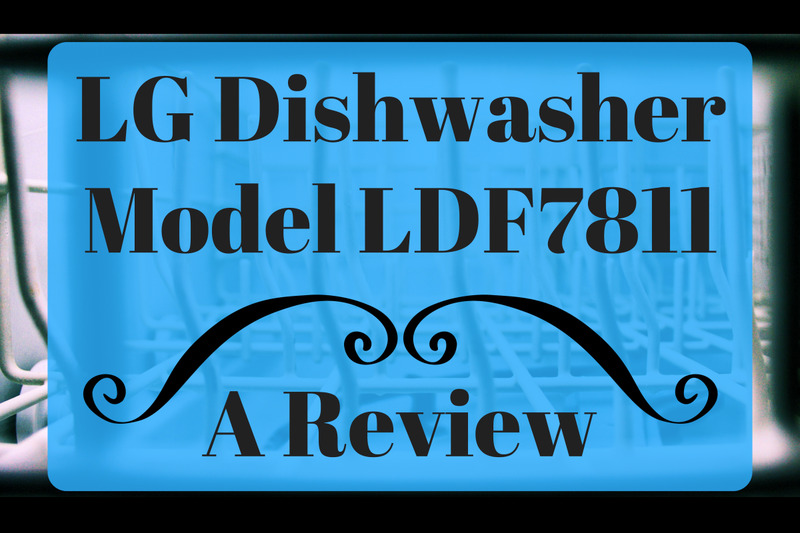 Very interesting and although I seldom use our dishwasher (I prefer manual job), this is indeed very useful and absolutely worth all the votes and sharing. Thank you. Thanks, Beth. Yes, It should work on dishes too! Perfect - just what I needed. Well deserved HOTD. Thanks for the great tips. Voted up as useful. Great hub and Congrats on HOTD! 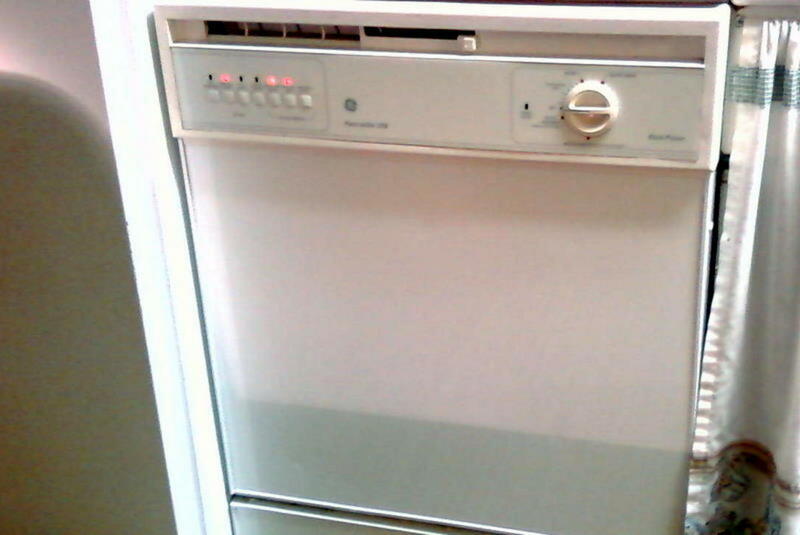 We have an older model dishwasher and I'm certain its in need of a good cleaning. Thanks for sharing such detailed steps for getting the job done! I have always used it very GENTLY, and have never had any trouble. That said, I think you could use a plastic scrubbie with similar results and less risk. Thanks! I didn't know dish-washer needs cleaning. So, I guess I need to take a look at mine, though I've only used it a couple of times in the twelve years I've had it. I've always thought steel wool will damage your wares. I usually prefer washing with baking soda and vinegar. Great hub with very useful info. (voted). Congrats on the Hub of the Day award! Congrats on your Hub of the Day award and thanks for this helpful information! Who knew?! Excellent advice here - congratulations on Hub of the Day. I have cleaned my dishwasher once or twice since I bought it, but not nearly as thoroughly as you describe. It is probably due for another cleaning - this time I will be following your steps! Excellent and timely. I thought my dishwasher had it. Now, maybe not. I'll give your advice a try to I really hope it works. The symptoms are the same as what you describe. I'm really not interested in buying a new dishwasher. Great step by step. Congrats! This is so perfect for me right now. 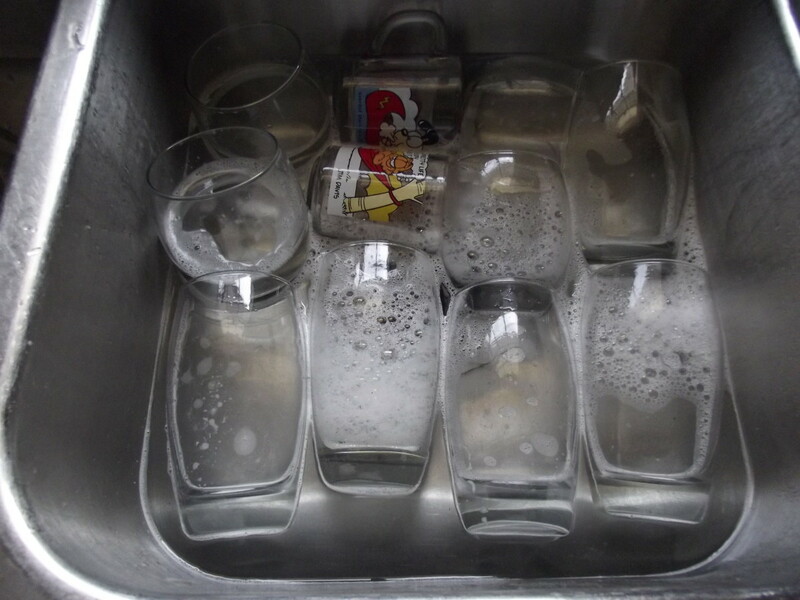 Every time I run the dishwasher I have to rewash a few of the cups. It's very frustrating. This will be a big help! Thanks. Very handy hub. My local shop sells a solution that can be run through an empty dishwasher to clean it out but it costs £4 (maybe $6) for one use. And I wouldn't be sure it was getting the dishwasher as clean as your method.